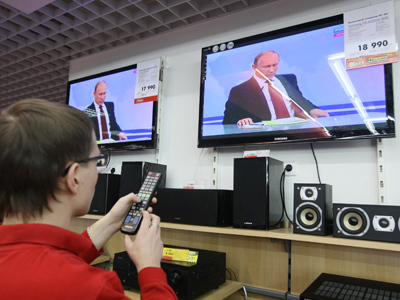 The March 4 Presidential elections are set to be the most transparent in Russia’s history, the Central Elections Commission insists. For the first time, anyone who wants to can monitor the voting at every polling station in the country online. ­Webcams have been installed in a bid for maximum transparency after last December's parliamentary election triggered allegations of vote rigging. In response, Prime Minister Putin ordered all polling stations in Russia to be fitted with webcams streaming continuously in real time. “I suggest and request that the Central Election Commission set up web cameras in all polling stations – we have more than 90,000 of those – and let them work round the clock. Let the country watch it all on the Internet,” he said in December 2011. In the wake of parliamentary elections on December 4, various videos showing alleged election violations started to appear online. Scores of similar videos have since been posted on the web, pushing tens of thousands to protest. Many cases are still under investigation. “The idea is not only to prevent stuffing, but to show on camera the results in each polling station. They could then be easily compared with the final figures online. This is maximum transparency,” says Georgy Fyodorov, fair election campaigner. 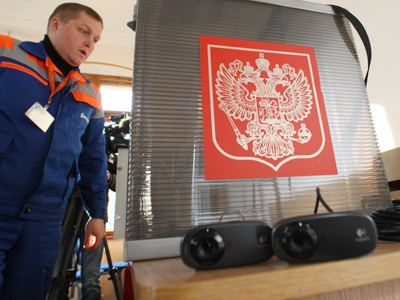 Each polling station is being equipped with at least two cameras – one with a general view of the ballot box and the other with a close-up of the slot. All videos will be fed to local data centers. After computer processing, they will then be sent to seven large storage and distribution facilities via cable, radio and satellite. These centers will then broadcast the information to several web portals – for everyone to watch online. 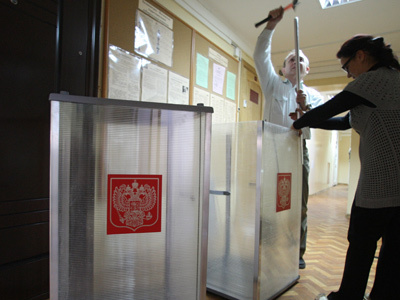 The chief elections commissioner, Vladimir Churov, has ordered that all election protocols be uploaded to the electronic system before 9 am on March 5. Any delays or violations will be reported immediately to the Prosecutor General’s office.